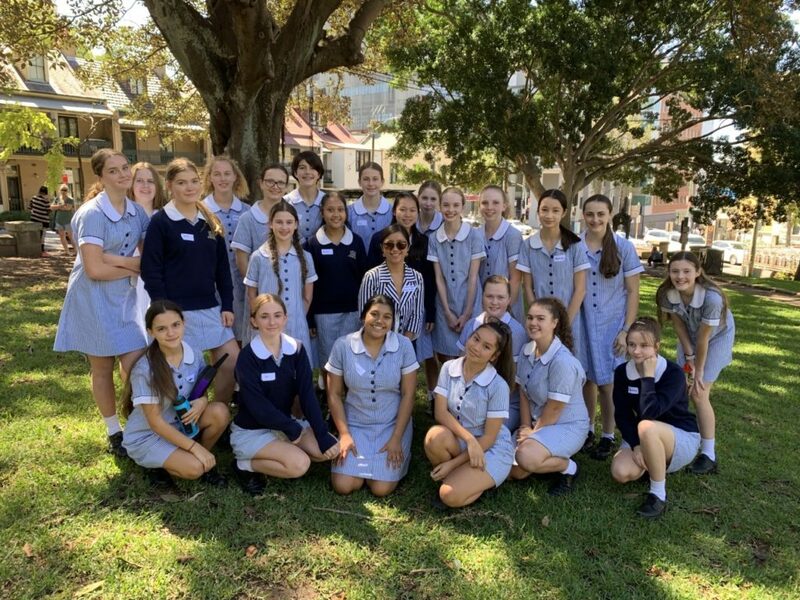 On Tuesday, 26 March, Mrs Selby’s 9B Religion class had the opportunity to attend the Respect, Understanding and Acceptance Day (RUA) at the Sydney Jewish Museum, Darlinghurst. This event included other Year 9 students from Stella Maris Manly, Masada College, Granville Boys High School and Auburn Girls High School. The purpose of the day was to encourage peace and unity between different races, cultures and religions through interfaith dialogue between a diverse range of schools. Students participated in several activities and discussions, recognising different beliefs and cultures, and discussing ways to promote respect, understanding and acceptance of diversity in our world, including how to counter racism as a young individual. Meeting new people and getting to know them was both very exciting and we formed new friendships throughout the day. Together, we all developed a new understanding of different religions through exploring the beliefs, rituals and practices of various faith traditions. As representatives of Mercy College, the RUA excursion was a very inspiring and memorable experience that helped us learn and discover new ways of thinking. 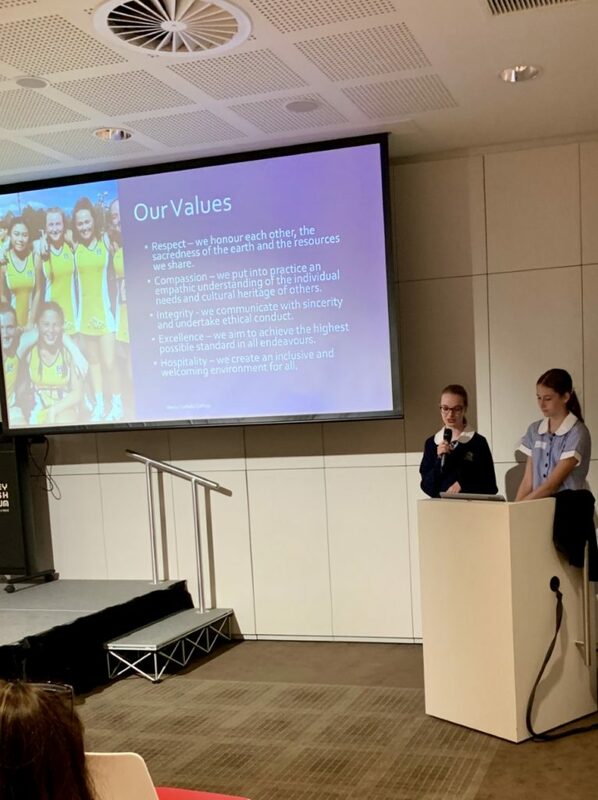 We were able to share our beliefs and religious traditions with other schools and this has helped understand the common values that we share.